Finally some real Southern food…..at the best place in BHM! Nikki’s West. In the bowl is a local cabbage slaw with a local dressing which a bit like Thousand Island. It’s very much a BHM thing. The greens are turnips but they had all 3 types available. What might look to the less informed like hush puppies are actually fried okra. This place is a classic meat and 3 but I always just have vegetables of which there are at least 25 to choose from. 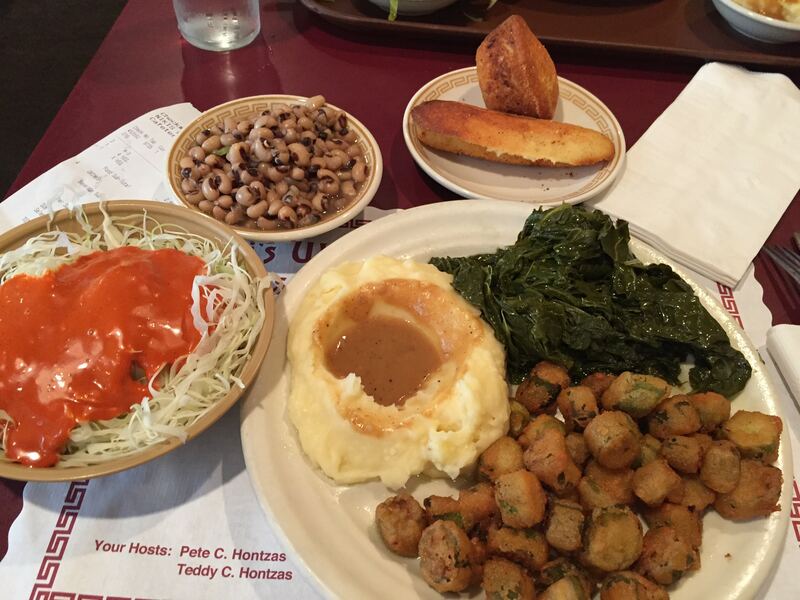 Southern food nirvana!